The endearing marmalade loving bear is coming back. Paddington 3 is officially in the works, as confirmed by producer David Heyman. This doesn't come as a huge surprise, given the critical success of the first two movies, which were directed by Paul King. To that point, Heyman does reveal that, if the third movie does indeed get made, it likely won't be king in the director's chair. David Heyman is also a producer on the upcoming Fantastic Beasts: The Crimes of Grindelwald and has been making the rounds doing some interviews as that movie nears release. During a recent interview, Heyman was asked about Paddington 3 and the producer was able to confirm that the movie is in development and discussed the project's current status. Here's what he had to say about it. "I don't think Paul King will direct the third. He did the first two, he and I are working on another project together... He's very special, Paul. 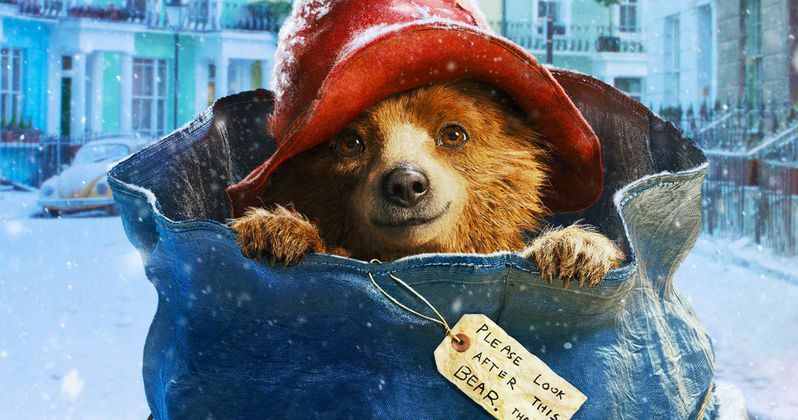 We're developing a third Paddington. We haven't got a script yet, we've got a treatment which we're still working on...Paul is involved in it, I wanted him to be involved in it because I think he's such a significant voice, but I don't think he'll direct it. He worked on the idea... he comes up with the idea with Simon Farnaby and Mark Burton and then they develop it and come back for more, back and forth, and then it'll get written and Paul will come in and stir it up a little bit. But he's an incredible collaborator, Paul. Very positive, very supportive." Paul King directed the first two movies to great success. The two previous installments have made a combined $494 million worldwide. Perhaps more impressive, though, is the critical response. Paddington currently holds a 98 percent approval rating on Rotten Tomatoes, while Paddington 2 holds the rare distinction of an unblemished 100 percent critic rating. With that in mind, it's not terribly surprising to learn that Paddington 3 is in the early stages of development. But that doesn't necessarily mean the movie will definitely get made. As David Heyman also stated in the interview, they really want to do it, but only if it can be genuinely good. "I hope we get to make it. It's really fun, it's a fun idea. I don't know yet. I don't want to do it if I don't think it's gonna be good." The other project Paul King is attached to is the Willy Wonka prequel that Warner Bros. has been developing. There is no indication on who could possibly step into the director's chair for Paddington 3. However, it could be a while before that discussion needs to take place, since it sounds like the project still has a long way to go before it's ready to get in front of cameras. As long as they don't replace Ben Whishaw as the titular bear, everything should be fine. This news was first reported by Collider.